9 Different Types of Pipes for Plumbing and Water Supply. 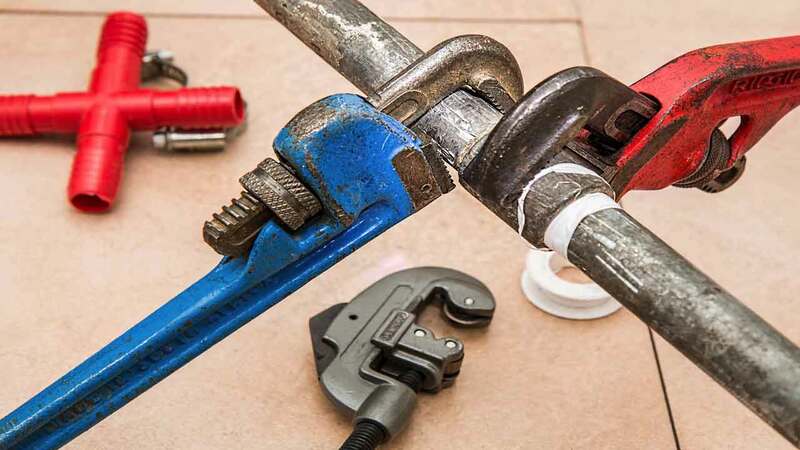 In this article, you are going to learn the 9 best and most common different types of pipes for plumbing and water supply in details. 2. Galvanized Iron Pipe (G.I). Pipes are used for carrying gas, cold and hot water, and other liquids from one place to another safely. Different types of pipes are used in different circumstances. Pipes types are selected on the basis of work and suitability, and their prices are also taken into account. In this article, we will cover all of the above piping types in details. Cast Iron pipe is widely used for city water-distribution systems because of its high resistance to corrosion and consequent long life. Cast iron pipe is made from pig iron. Such pipes are normally made from 5 cm to 120 cm in diameter. Under normal conditions, a cast iron pipe can be expected to last 100 years. The usual length of a pipe section is 12 ft, but lengths up to 20 ft can be obtained. Cast iron pipe is made in several thickness classes for various pressures up to a maximum of 350 psi. Cast-iron pipes are usually dipped in a bituminous compound for protection against corrosion and to improve their hydraulic qualities; larger sizes may be provided with a lining of cement mortar. A common joint for cast iron pipe is the bell and spigot. A few strands of jute are wrapped around the spigot before it is inserted into the bell, and then more jute is packed into the joint. Finally, the space between the bell and spigot is tilled with a molten lead, which is tightly caulked into the joint after cooling. Patented compounds of sulfur and other materials and neat cement mortar are also used for joints. These materials are cheaper than lead, but the joints are usually less flexible. The flanged pipe is used for pumping stations, filter plants, and other locations where it may be necessary to disjoint the pipe. Flanged couplings must be fitted perfectly and provided with a gasket if they are to be watertight. Because of the skilled labor required for lead joints, numerous mechanical couplings are finding extensive use and have largely replaced bell-and-spigot joints. These couplings are bolted together and designed to avoid the careful fit required of ordinary hanged couplings and to permit flexibility in pipe placement. One of the most common is the Dresser coupling. Cast iron pipes are also cheap and economical. These pipes can be joined easily and can be cut and bored easily too. The cast iron pipes are generally cut with chisel and hammer, but for a better cutting cutter and hack saw can be used. Following methods are used to join a cast iron pipe. (i). Bell and Spigot Joint. 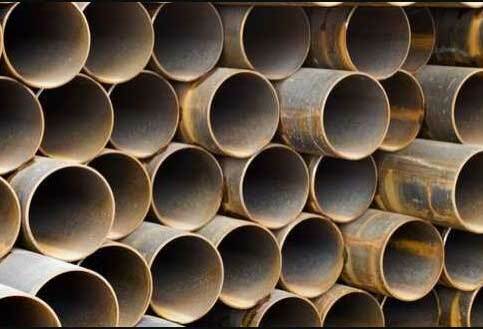 G.I pipes are made of mild steel sheet. Its length-wise joint is Welded Seam Type. 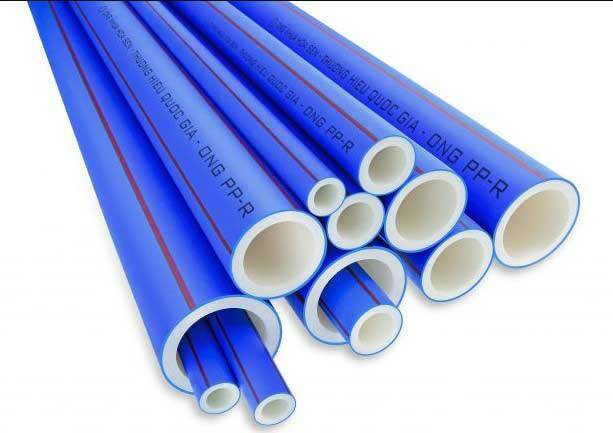 G.I pipe is used to supply water, gas or any other liquid inside the building. These types of pipes are prepared from 12 mm ( 0.5 inches) to 15 cm ( 6 inches) in diameter. They are available in 6 meters ( 20 feet) length. The thickness of the wall of its sheet is different according to their diameters. After preparing this pipe, it is dipped in zinc solution. This action is known as Galvanizing. In this way, the pipe is saved from rusting. The average age of this pipe is 10 years. They can be joined easily, cutting, threading, and bending them is also an easy task. They are joined with the help of a socket. These pipes are light-weighted and cheap. Acidic and alkaline waters affect these pipes badly. These types of pipes are like G. I. Pipes. They are also used to carry water, gas or certain other liquid from one place to another. The only difference between wrought iron pipe and G.I is that wrought iron pipes are prepared by welding wrought iron sheet. In addition, seamless pipes are also made. 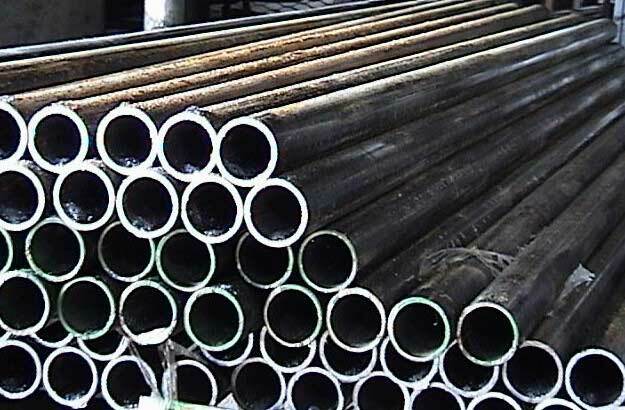 Wrought iron pipes are made from 12 mm(0.5 inches) to 15 cm (6 inches) in diameter. 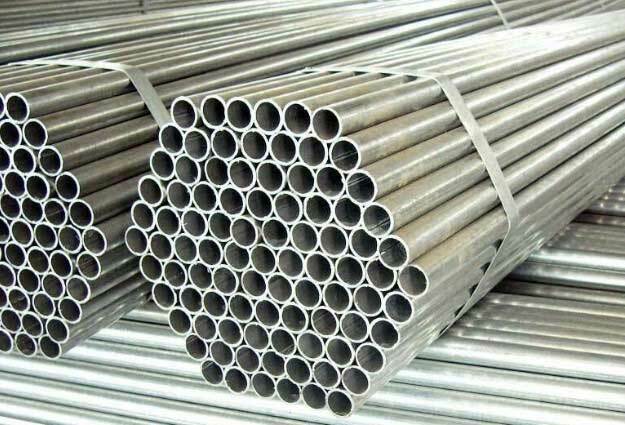 Steel pipes are used to carry water, gas or certain other liquid from one place to the other under pressure. These pipes are made from steel sheets. Small pipes have welded joint along the length which is not visible. Large pipes have riveted joint or welded joint. After making such pipes, they are dipped in Zinc solution. This action is called Galvanizing and is used to prevent the pipe from rusting. The average age of such pipes is from 25 years to 50 years. These pipes are light in weight. They can be joined by a welded joint. They are placed on Open Supports. They are also joined by Flanged Joint. Such pipes can be bent easily. Acidic water and alkaline water can rust these pipes. Repair of this type of pipe is difficult. They can also be pressed by external pressure due to their less wall thickness. 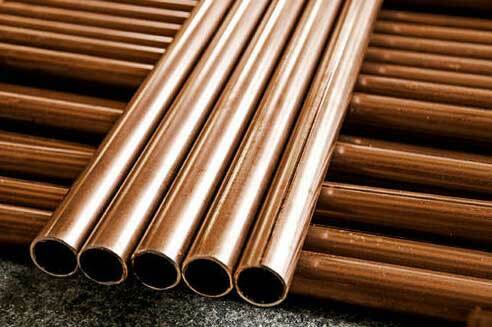 Copper pipes are made of small diameter. Since copper does not admit rust, so these pipes are durable. However, as copper is costly, therefore, they are used in limited places. These types of pipes are generally used to carry hot water or steam. They do not bend or sag even at high temperature. Copper is a mild metal. Therefore, copper pipes can be bent easily. They are joined by Flanged Joint and Union Joints. These pipes – which includes rubber and P. V. C. pipes – are used for the supply of water, acidic water, and alkaline water. Hot water should not be carried out. These pipes are joined using a thread joint or socket is joined with a solution. Such pipes are not rusted. They are light in weight. Cutting, bending, and jointing are easy for these pipes. These types of pipes have good resistance against electric current. They become useless on increasing temperature. They also become useless on being tempered by nail, etc. 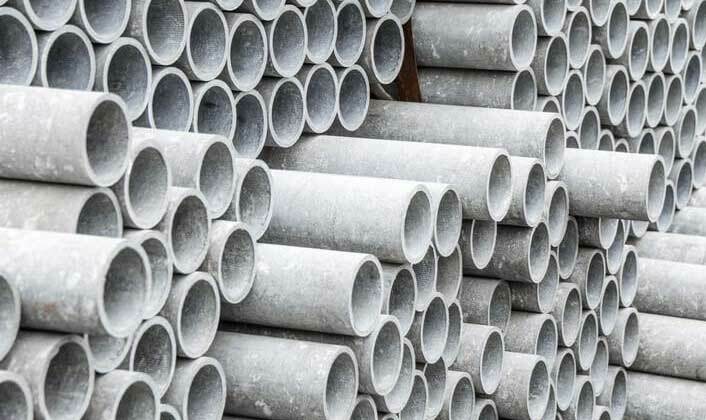 The asbestos pipe is made from asbestos, silica, and cement converted under pressure to a dense, homogeneous material possessing considerable strength. The asbestos fiber is thoroughly mixed with the cement and serves as reinforcement. 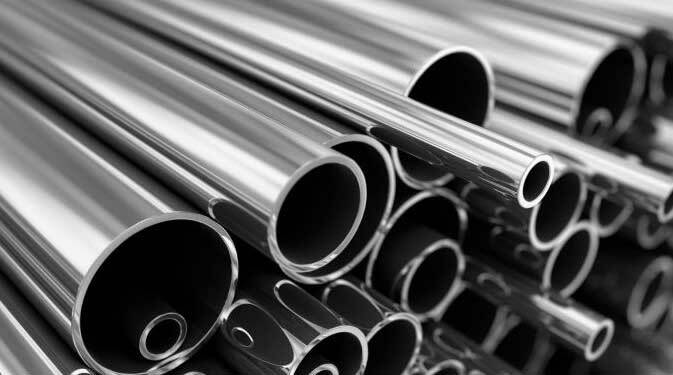 This type of pipe is available in diameters of from 4 to 36 inches in 13-ft lengths. The pipe is made in various grades, the strongest being intended for internal pressures up to 200 psi. The asbestos pipe is assembled by means of a special coupling which consists of a pipe sleeve and two rubber rings which are compressed between the pipe and the interior of the sleeve. The joint is as resistant to corrosion as the pipe itself and is flexible enough to permit as much as 12° deflection in laying pipe around curves. An asbestos-cement pipe is light in weight and can be assembled without skilled labor. It can be joined to cast-iron pipe with lead or sulfur-base compounds. It is easily cut and can be tapped and threaded for service connections. The hydraulic efficiency of an asbestos pipe is high. Watch the cutting video below. However, the rubber-joint seals may deteriorate if exposed to gasoline or other petroleum products. The pipe is easily damaged by excavating tools and does not have much strength in bending. They are used to carry water under low pressure. These pipes are soft from the inside. That is why their performance is better. They are not rusted and are cheap as well. The Pre-cast Concrete pipe is available in sizes up to 72 inches diameter, and sizes up to 180 inches have been made on special order. 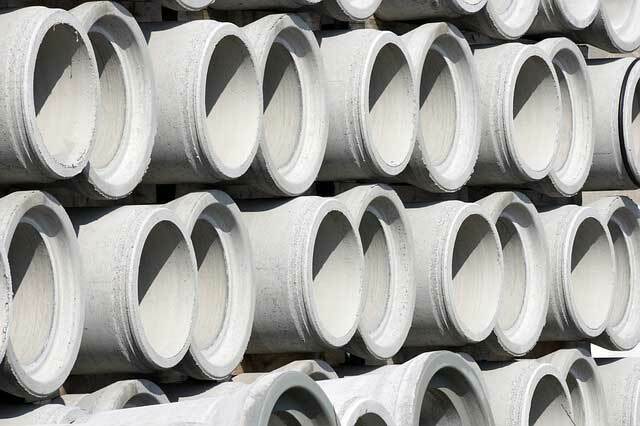 Precast Concrete pipes are reinforced except in sizes under 24 inches diameter. The reinforcement may take the form of spirally wound wire or elliptical boom. In large pipes, the reinforcement usually consists of two cylindrical cages. The precast concrete pipe is usually made by rotating the form rapidly about the pipe axis. The centrifugal force presses the mortar tightly against the forms and results in high-density watertight concrete. For low heads, the concrete pipe is usually joined with a mortar caulked bell-and-spigot joint, but for high pressures, the lock joint or some other special joint is required. For heads above 100 ft, a welded steel cylinder is often cast in the pipe for water-tightness. Because of the better control in its manufacture, a pre-cast concrete pipe is usually of higher quality and not need to be so thick as a cast-in-place pipe of the same size. Read Also: Curing of Concrete – Its Methods, Time, & Requirements. 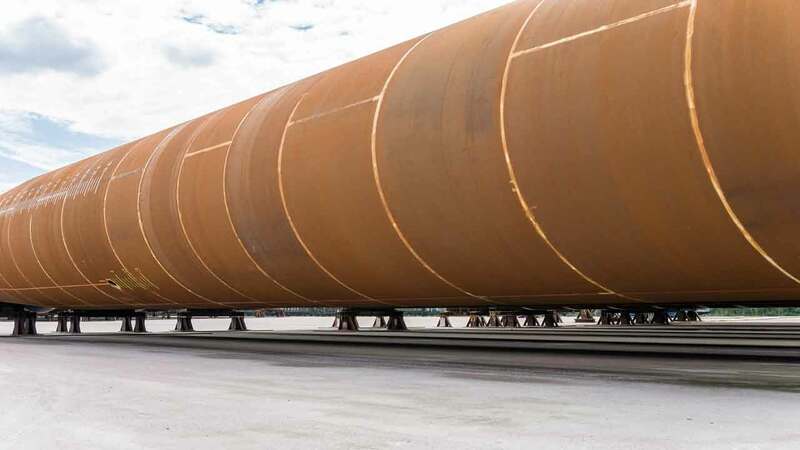 Because of the need to move plant and forms over long distances, cast-in-place pipe is relatively expensive and is normally used only for pipe sizes not available in precast form or where transportation difficulties make use of precast pipe impossible. For gravity flow, the no-joint concrete pipe has been developed in California. This pipe has been constructed in sizes 24 to 72 inches. A special pipe-laying machine with a slip form is used. Rates of production vary from 40 to 120 ft/hr. Though this pipe is not reinforced, the experience record to date has been good. A concrete pipe should last at least 35 to 50 years under average conditions. Alkaline water may cause rapid deterioration of thin concrete sections. Concrete pipes carrying wastewater may be subject to sulfide corrosion and may be short-lived unless proper precautions are taken. Concrete Pipes are generally used these days. They are used even in low as well as high pressure. Plain concrete pipes are made for low pressure, and R. C. C. ( Reinforced Cement Concrete) pipes are made for high pressure. Plain concrete pipes can bear Water-head up to 15 meters ( 50 feet) R. C. C. pipes can bear Water-head up to 75 meters ( 230 feet). For pressure more than this, pre-stressed pipes are made. Less expenditure is required for their maintenance. Rust does not affect these pipes, and they can be made at will. Such pipes are heavy. So, their transportation is difficult. It is also difficult to repair them. Vitrified Clay Pipe is not often used as pressure pipe, but is widely used in sewerage and drainage for flow at partial depth. 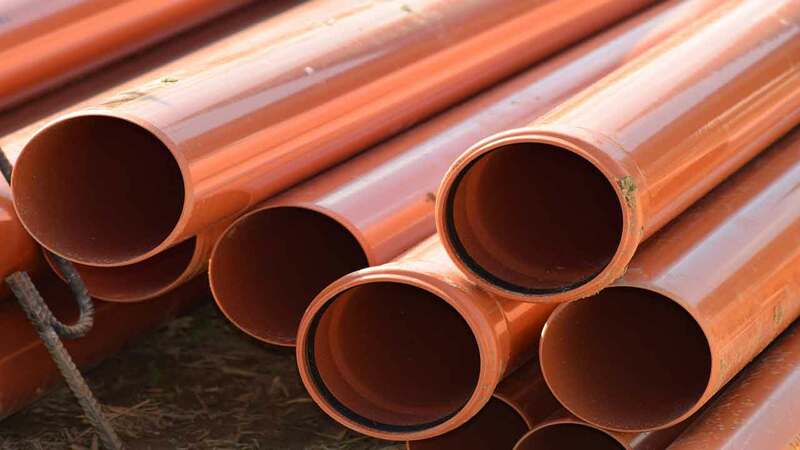 The main advantage of vitrified clay pipe is that it is virtually corrosion-free, has a long life, and its smooth surface provides high hydraulic efficiency. Use of vitrified clay pipe under pressure is usually prevented by its low strength in tension and the difficulty of securing watertight joints. The most common joint for vitrified clay pipe is the bell-and-spigot flexible compression joint in which precision mated surfaces are in tight contact with one another. …but more often the joints of this type of pipe are left open to permit passage of water either into or out of the pipe. Vitrified Clay pipe is most commonly made of 3-ft lengths, but 2, 2.5, and 4-ft lengths can be obtained. Inside diameters vary by 2 inches increments from 4 to 12 inches and by 3 inches increments above 12 inches. Clay pipe in diameters greater than 36 inches is rarely used. Because of the dimension changes, while the pipe is in the kiln, liberal tolerances in all dimensions are necessary. Thanks! for reading. Don’t forget to share this article.